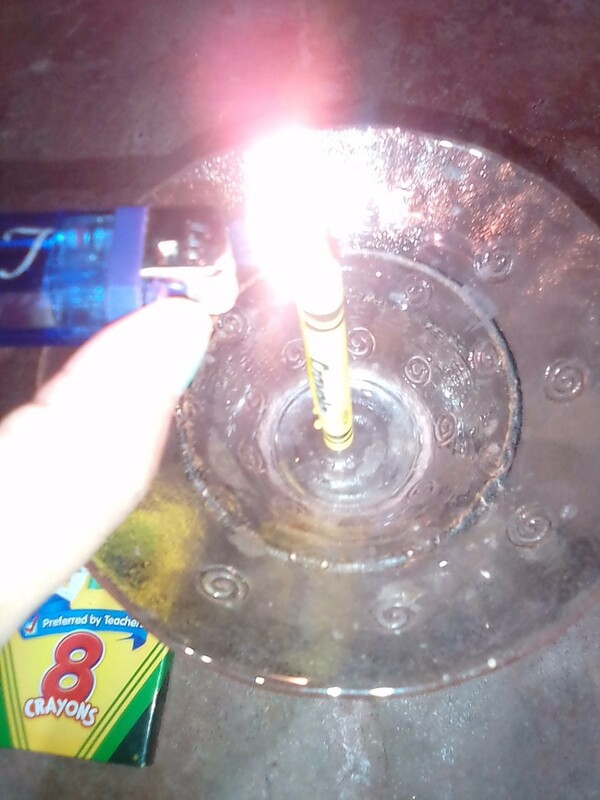 In a pinch, a crayon can be used as a candle. 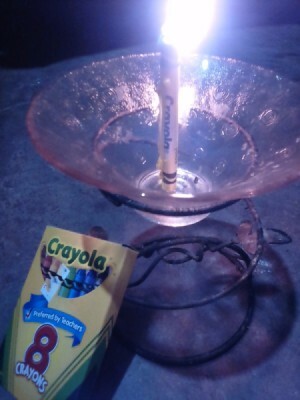 This is a guide about use a crayon as a makeshift candle. This is an emergency tip. 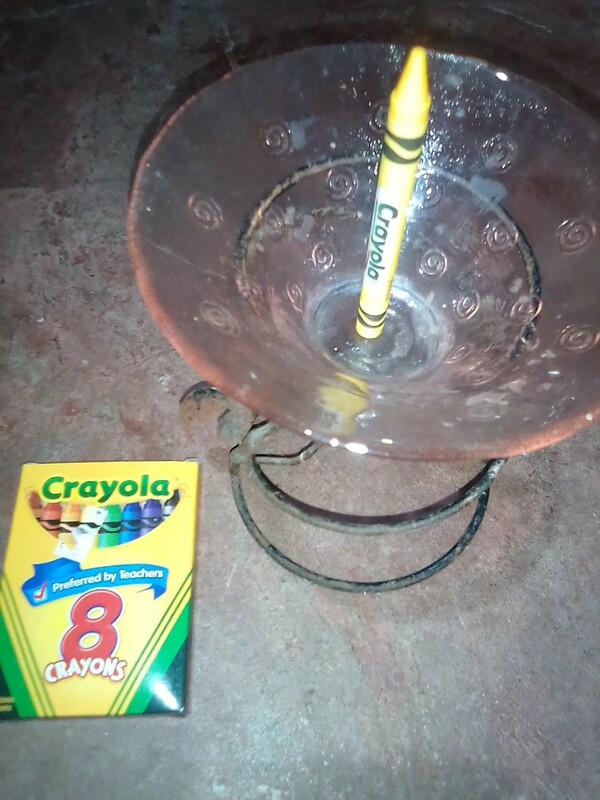 If you are out of candles or you are in a camping trip with kids, Crayola crayons are another alternate to candles. Lighting a crayon can last for 30 minutes! This is interesting. I never heard of such. Does the crayon burn just as a candle but without a wick?